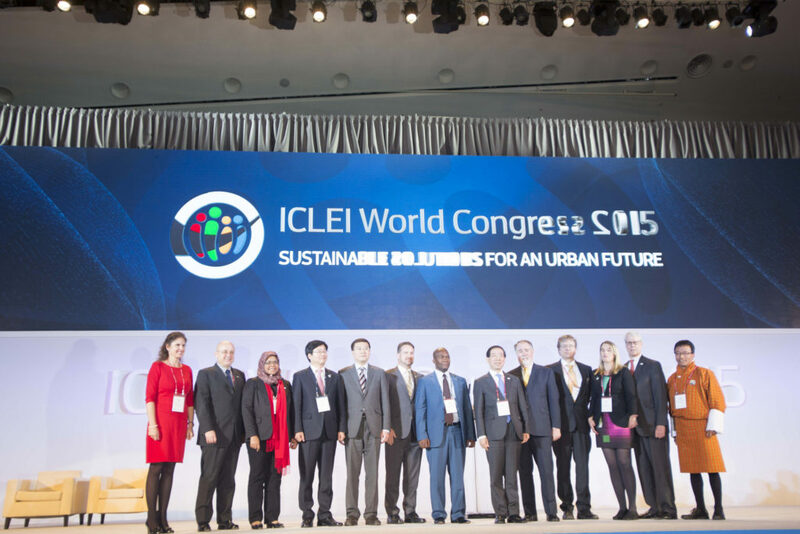 ICLEI’s Global Executive Committee 2015-2018 was unveiled at the opening plenary of the World Congress 2015. The ICLEI Global Executive Committee represents ICLEI Members on the global level and is the only governance body able to amend the association’s By-laws. The ICLEI Global Executive Committee and the ICLEI Council are the global decision-making and oversight bodies for the global association. The new President of the Global Executive Committee will be Wonsoon Park, Mayor of Seoul, South Korea. Mayor Park takes over from David Cadman, who is retiring. Seoul implemented this initiative in order to respond to the continually rising demand for electricity. Its aim was to reduce energy demand by an amount equivalent to the production of one nuclear power plant. To do this, the city partnered with the private sector to help it produce more energy from renewable sources, and it encouraged all our citizens to save energy in their daily lives. In June 2014, Seoul was able to announce that it had met its target six months ahead of schedule. We all know that climate change is the biggest threat to the future of cities. Inter-city cooperation is needed because we all share the same fate. Environmental pollution has been an issue in Seoul, for example, but we have our initiatives have helped us to become an ecocity. We will share what Seoul has done and what its citizens have done at this World Congress. We have a responsibility to hand this green planet onto our children. A city’s problem is no longer the problem of one country or one city. These are global challenges that all cities must address, with Mayors taking the lead. When you and I become us, together we can overcome any problems. We know what to do at a local level. We are in direct contact with our citizens and we can make a difference. We can do it if we work for it!